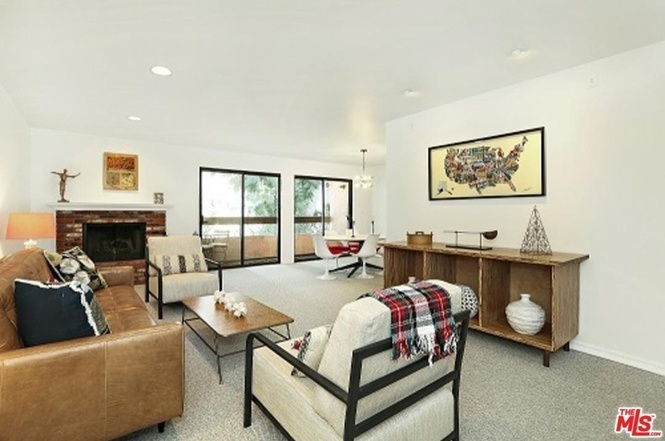 Proudly presenting this spacious, recently remodeled 2BR/2BA unit in one of Valley Village’s most desirable developments. With easy elevator access, the unit features a spacious kitchen w/ stainless appliances, subway tile, and designer fixtures throughout. Bonus area off the kitchen can be used as a second dining area or cozy home office. Open living/dining concept w/ private, tree-shaded balcony – perfect for enjoying your morning coffee. The master suite features a large walk-in closet and beautifully appointed ensuite bath w/ separate glass shower and luxurious soaking tub. A second spacious bedroom and full bath round out the desirable floor plan. Laundry is located in the unit w/ side-by-side washer/dryer and plenty of storage. The grounds are impeccably maintained w/ lush landscaping, a sparkling pool, and fitness center. Two car subterranean parking. Easy access to freeways as well as all the shops and restaurants in Studio City. Zoned for coveted Colfax Charter Elementary!